If a sinkhole appears near your home, it could be written off as a loss. 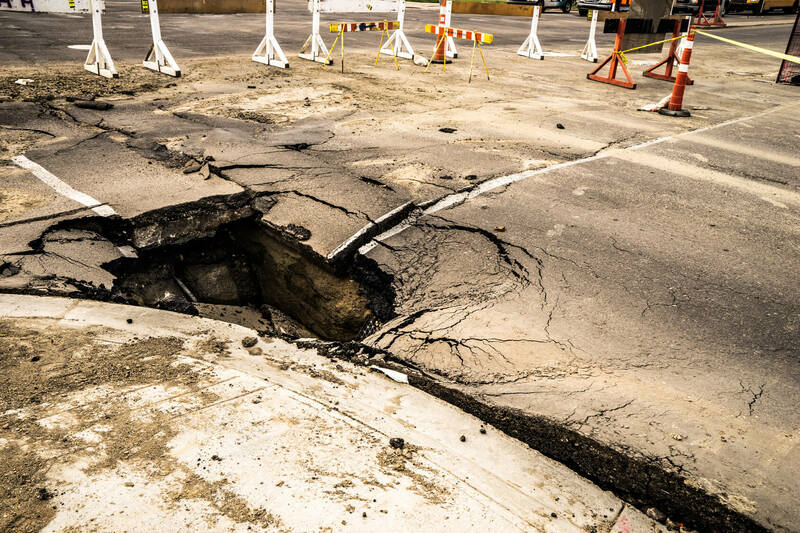 Underground water erosion, chemical deposits interacting with soil and rock, and other factors can cause a sinkhole. Consult an insurance agent, a lawyer, soil expert, or engineer before investing in a potential home flip project.